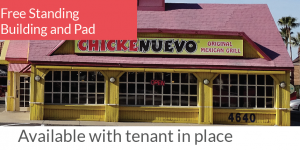 The property consists of a multi-tenant retail building of approximately 19,600 SF located between a BRAKEMax facility and a Chuy’s Restaurant. 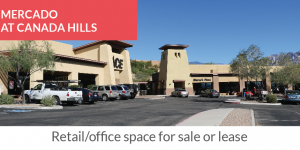 Excellent opportunity for retail users with high visibility and access in the Southeast, Rita Ranch and Vail area. 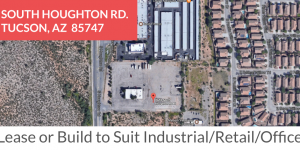 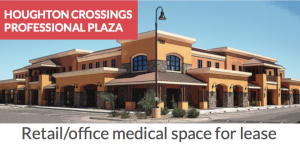 High profile employers in the area include Raytheon, IBM, Target, Canon USA, Citigroup, Walmart, Fry’s, The Veteran’s Association (VA) and Davis Monthan Air Force Base. 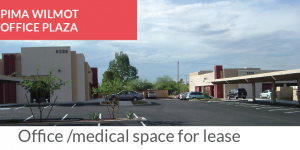 Located within Vail School District, one of the highest performance school districts in Arizona.